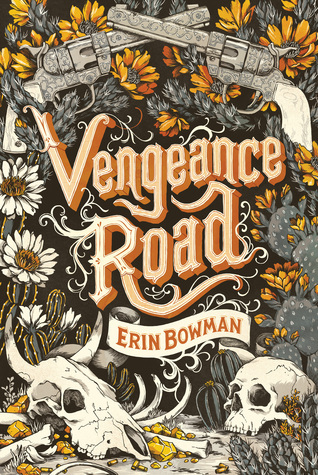 Vengeance Road by Erin Bowman – Guys, I would’ve sworn I didn’t like Westerns before reading this Arizona-set stand-alone. Now, I’m a convert. I loved Erin Bowman’s Taken trilogy, but Vengeance Road affected me in a completely different way. It’s a trek through a rugged and unforgiving desert, a quest for revenge, a treasure hunt, and a romance. It’s historical fiction at its best: rich, authentic, atmospheric, and incredibly well-researched. MC Kate Thompson is stubborn and rash, but she’s also brave and loyal, making her a narrator worth rooting for. And I love the people she meets during her journey — Will and Jesse and Liluye in particular. They’re fascinating in their own right, and they make this novel feel even deeper and more vivid. All of Vengeance Road‘s characters have enviable strengths and cringe-worthy weakness. There are no easy decisions in this story, and there are no perfect outcomes, but there are some super surprising twists which made for an intense reading experience. Vengeance Road is definite 2015 favorite, plus such a gorgeous cover! Their Fractured Light by Amie Kaufman and Meagan Spooner – A satisfying conclusion to a series I’ve loved since the release of its first book, This Shattered World. As much as I enjoyed this final novel, I couldn’t read more than a chapter or two per sitting — it made me so anxious. That speaks to how much I’ve grown to care about these characters, but man — Amie Kaufman and Meagan Spooner had my pulse racing for the better part of Sofia and Gideon’s story. It’s hard to chat candidly about Their Fractured Light because it’s full of spoilers from the first and second books in the trilogy, but suffice to say: I thought this story was amazing. It’s super fast-paced and packed with emotion. My heart literally hurt for these characters because they run into road block after road block, and they’re challenged in ways that are just awful (poor Tarver can’t catch a break… that boy needs a hug). The Starbound novels have some of the most incredible world-building I’ve read, and I was thrilled to see tiny threads from the earlier books picked up and woven into the tapestry of this final installment. I’m endlessly impressed with this trilogy, and I recommend you pick it up, even if you don’t fancy yourself a sci-fi fan — it’s that good. 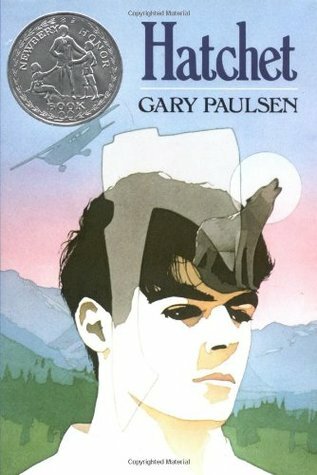 Hatchet by Gary Paulsen – This one was a reread for me; this time, I read it aloud to my eight-year-old daughter. While the story of Brain’s survival in the Canadian wilderness was just as riveting as I remember, it was the language, Gary Paulsen’s spare but evocative prose, that awed me most. Those scenes with the mosquitos, and the porcupine quills, and the turtle eggs — so visceral! This is a really cool story of perseverance and courage, and it’s packed with interesting facts about surviving with nothing but a hatchet and some serious gumption. Additionally, Writer Katy found Hatchet to be a compelling character study. I can’t remember the last story I read that featured a protagonist with such a steep arc. Check it out if you haven’t read this classic! 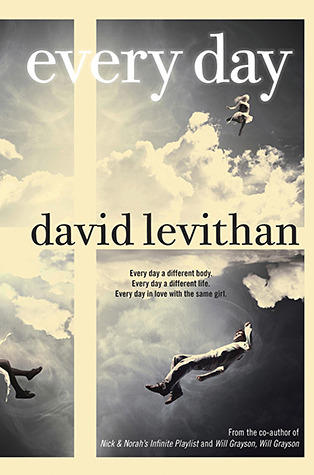 Every Day by David Levithan – I listened to the audio version of this book and the narrator did a wonderful job. The story came to life as she read A’s tale and, overall, I enjoyed it very much. The concept is fascinating, the pacing is quick, and the flow is seamless. I have one issue, though: I didn’t feel as though I got to know A as someone other than a person who loves Rhiannon. Maybe I’m shallow, but without a physical appearance, or hobbies, or friendships, or a gender, or familial relationships to go on, I had a hard time connecting with A. Rhiannon, yes — she felt whole, fully formed and charming. Even the minor characters, like Justin and Nathan, struck me as complete. But A… A was mostly focused on checking for Rhiannon’s emails and plotting new ways to be near her. I get that — love was a new experience for A, but still… I wanted more. That said, I did feel like A was redeemed in the novel’s final scenes; A’s gesture and the way Rhiannon was left in a place of hopefulness were really lovely. My favorite aspect of this story is its vignettes (for lack of a better word) — the scenes where A is in random bodies and has experiences completely unrelated to Rhiannon. I found them captivating, and very profound. Pick Every Day up if you like a novel with a unique concept and a focus on romance. Tell me… What’s the best book you read in December? Vengeance Road sounds great. I’ll have to pick that one up, thanks for the recommendation. 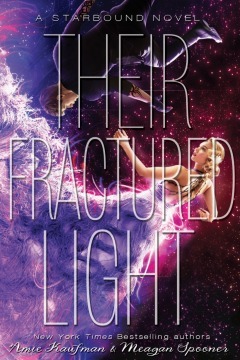 I can’t wait to read Their Fractured Light either and see how it all ends! The best book I read this month was Six Of Crows by Leigh Bardugo. It was amazing and easily one of my top five of the year! Ooh, I’ve heard great things about SIX OF CROWS. Thanks putting it back on my radar, Alexa. 🙂 And yes! VENGEANCE ROAD and TFL are both awesome. I hope you get a chance to read them soon! You’ve got me hunting for a copy of VENGEANCE ROAD at my library! I’ve never read a western before, and it sounds like this is the best place to start. Also, I just read HATCHET for the first time in a writing workshop two years ago. My professor used it a way to study plot, if I remember correctly (man vs. nature). I listened to most of it on audiobook and really enjoyed it, probably in the same way you enjoyed reading it aloud with your daughter. Such great prose! I’m seconding Alexa’s SIX OF CROWS rec…fantastic heist story with some of the best character development I’ve seen in a while. The characters aren’t the most moral, but their backstories make you feel for them all the same. I finally read both of Emery Lord’s books this month, which of course was a why-did-I-wait-so-long? moment. They were both amazing, especially THE START OF ME AND YOU. I always love reading your wrap-ups. It’s how I fill my own TBR list. I loved Vengeance Road too, especially Kate’s voice! Like you, I was kind of iffy because Western’s aren’t really my thing. Speaking of not-my-thing, reading Sci-Fi usually isn’t either, but I keep seeing the Starbound novels crop up as something I should read. Maybe I’ll finally get on that. Oh, Alice, I think you’d love the Starbound novels! They’re so well plotted, and there’s a romantic aspect to each one. The first is my very favorite (I LOVE the two lead characters! ), but the trilogy as a whole is excellent. Plus, the covers look beautiful on a bookshelf. 🙂 Happy New Year, lady!